Appointment Settings in Amelia plugin are here for those users who need to set some more customized options for appointments. This option is here only for the appointments with Pending status (for the Approved ones booking above maximum capacity is not possible). By default, this option is enabled, which means that your customers will have the ability to book the same appointment with Pending status endlessly, even though the maximum capacity for this appointment is full. Once you disable this option, your customers will be able to book the appointment with Pending status until it reaches the maximum capacity, but once the maximum capacity is full the time slot will become unavailable and appointment will be closed for booking. This option allows you to choose whether you will allow bookings below minimum capacity. 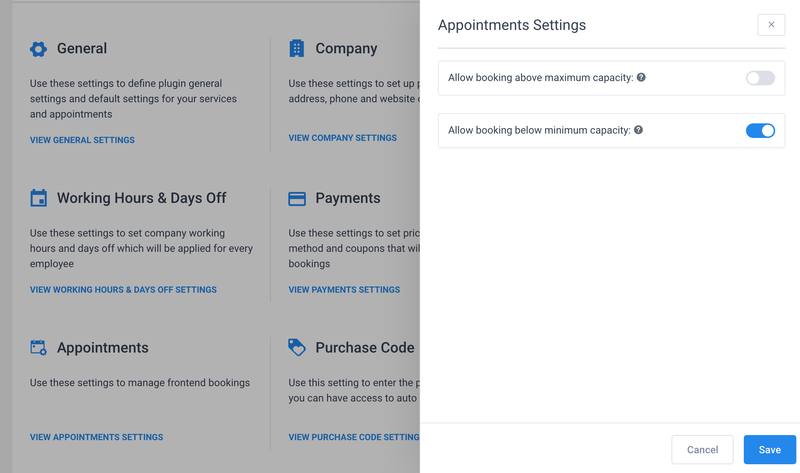 By default, booking below minimum capacity is enabled which means that your customers will be able to schedule the appointment below minimum capacity, but that appointment will get Pending status because of it. 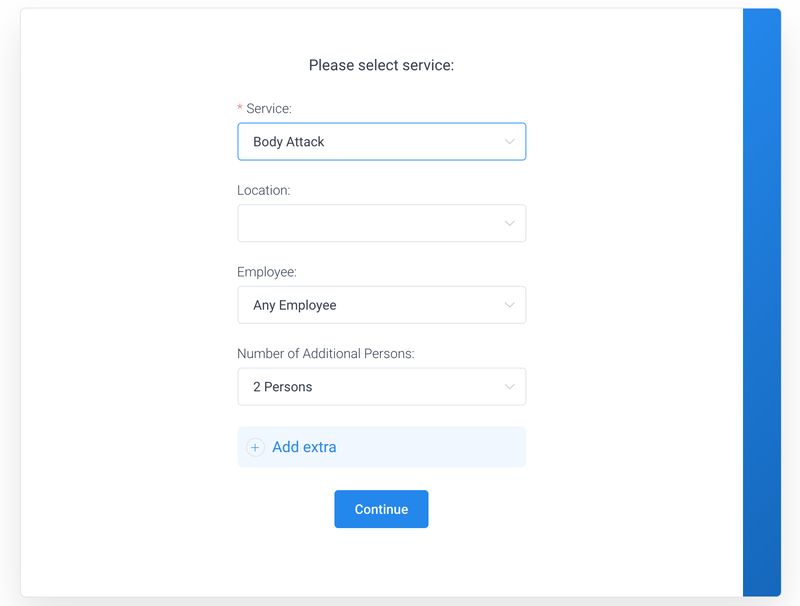 If you disable it and set, for example 3 as minimum capacity, your customer will automatically see 2 persons selected in “Bringing anyone with you” option during the booking, and he will not be able to schedule the appointment without these two 2 persons.